MADISON – State Representative Evan Goyke (D-Milwaukee) was appointed yesterday to the Wisconsin Housing and Economic Development (WHEDA) Board by the Assembly Democratic Leader. “I am honored to serve on the WHEDA Board and I thank my legislative leadership for this opportunity to serve my constituents in an added capacity. Six years ago I bought a historic home that was empty and facing foreclosure. My wife Gaby and I have put our blood, sweat, and tears into bringing our home back to life. This same story is seen throughout the 18th Assembly District. Housing matters. Quality housing, whether rented or owned, brings stabilization and a stronger community. I look forward to the opportunity to promote access to quality housing for all Wisconsinites. 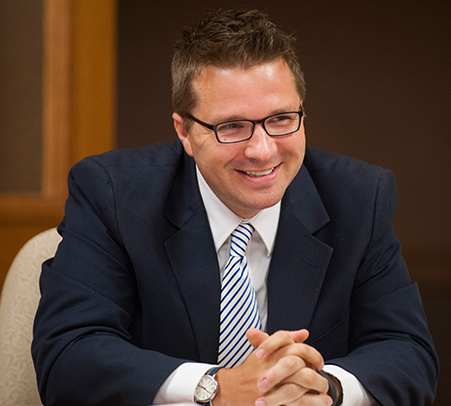 Rep. Goyke will attend his first Board meeting in Madison tomorrow.